What does your retail packaging say about your product? Building off of the blog from last week about tribal branding, I’d like to shed some light on how retail package design engages consumers by appealing to your senses. We know that consumer purchase decisions are often made quickly and subconsciously. Package designers influence those decisions by appealing to the shopper’s subconscious. A good package designer takes into account the entire experience and creates one that supports the brand story every step of the way hoping to convert that shopper into a consumer and further into a tribe member. Stuart Leslie is the president of 4Sight, Inc. a package design experience lab. He talks about how the materials, textures, shapes and finishes of a product influence perception. How a product’s packaging alludes to the experience of consumption –makes your mouth water, makes you blush or adrenaline rush just by looking at or handling the packaging. 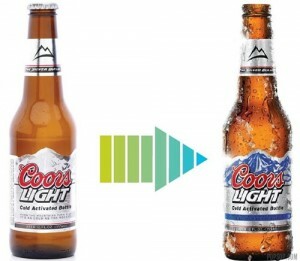 Bottles and cans that allow condensation and hold frost are perceived to be colder than other beverages chilled to the same temperature. The perfect cold to quench your thirst. 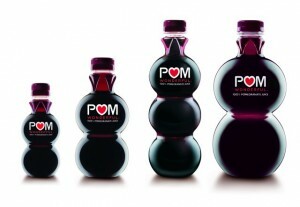 The unique shape of the POM bottles grabs your attention and the deep red color of the product communicates the promise of a bold, robust taste. 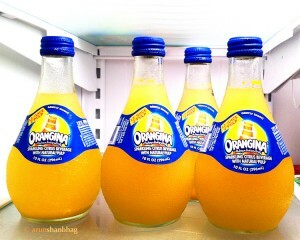 Orangina bottles are slightly dimpled alluding to the idea that you are consuming right from the orange itself. 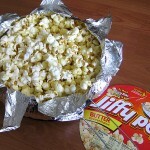 Jiffy Pop is an iconic experience in itself. The smell of the butter, the sound of it popping, that huge silver puff that you get to pop open and finally satisfy that craving. Consumption of the product is the delivery of that package promise with an experience that engages all 5 senses. There are some extremely refreshing face washes that wake you up in the morning or snacks that taste as good as they look. If the product doesn’t deliver, there won’t be a repeat purchase and that organic formation of a tribe won’t happen! Think about one of your favorite products that you can’t live without. Take yourself through this process of initial visual, further inspection and consumption. See if your senses didn’t influence your decision in making that product your favorite. Further more, did you tell someone else about your amazing experience? Did you try to convert another consumer into a tribe member?